Eco-friendly promotional items can help small business owners increase brand awareness while simultaneously helping the environment. Additionally, the branded gifts can encourage consumers to adopt green practices. In fact, recent research shows that engaging people with “appealing” initiatives can positively influence behavior. Researchers from Disney Research, the University of California, San Diego and the University of California, Berkeley monitored hotel patrons who received pins for committing to eco-friendly practices, and the team concluded that the recipients were friendlier to the environment than others. The results show that people honor their commitments and are willing to help the environment if they’re properly motivated. Small business owners can capitalize on these findings by asking customers to commit to going green before distributing eco-friendly promotional marketing products. Entrepreneurs can tell clients that the branded gifts are symbols of an ongoing commitment to protecting the environment. Many eco-friendly items are similar to their standard counterparts. For instance, a bag composed of recycled materials serves the same function as the regular version. Alternatively, small business owners can distribute reusable water bottles to combat the growing pollution problem. 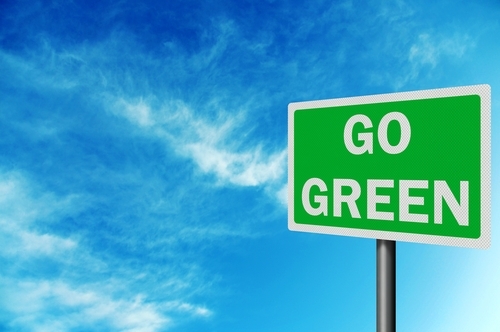 Ultimately, promotional products are effective marketing tools that can encourage consumers to go green.